You've worked hard to build your nest egg, and you deserve the peace of mind knowing that your estate is in good hands. It's never easy to think about the inevitable, but planning for the future is a critical step in protecting your assets and carrying out your end-of-life wishes. The lawyers at Mansfield Melancon understand that estate planning can be a sensitive subject. We aim to accomplish your goals - when and how you wish - with compassion and understanding. We will work closely with you to develop a plan for the future of your assets in a cost-effective and responsible manner. We provide a wide array of services to help from drafting your will to opening your succession and administering your estate. It's never too early to plan for the future. 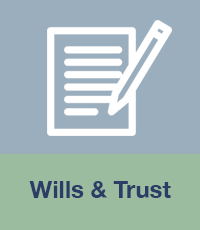 Wills and testamentary trusts can change as often as your circumstances. If you are in need of reliable legal advice on how to proceed with creating a Will or a Trust, contact the lawyers at Mansfield Melancon immediately to make sure your rights and interests are being protected. It is important to receive compensation for your maritime accident. It is equally important to have a team of skilled lawyers who will provide the personalized attention your case requires and deserves. You can reach us at our New Orleans number at 504-500-1108, Baton Rouge number at 225-612-0800, Lafayette number at 337-409-0003, or you can contact us online. You can also send us an email with questions about your claim at info@mansfieldmelancon.com.